Enterprise Voice is the Voice over Internet Protocol (VoIP) offering in Lync Server 2010. It delivers a voice option to enhance or replace traditional private branch exchange (PBX) systems. In addition to the complete telephony capabilities of an IP PBX, Enterprise Voice is integrated with rich presence, IM, collaboration, and meetings. 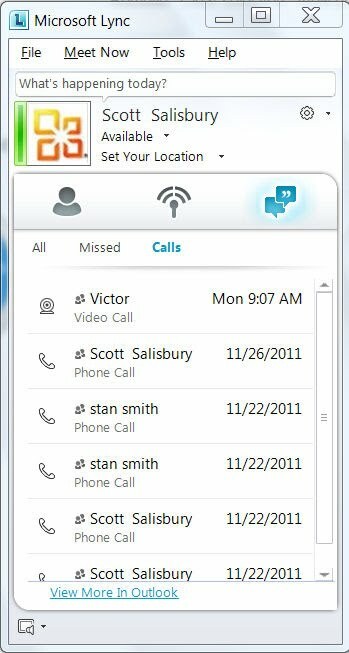 Features such as call answer, hold, resume, transfer, forward and divert are supported directly, while personalized speed dialing keys are replaced by Contacts lists, and automatic intercom is replaced with IM. Lync Presence information is integrated into Outlook 2010 and SharePoint 2010. And you thought you were just getting email. Lync is STANDARD! IM provides an instant messaging platform with conversation history, and supports public IM connectivity with users of public IM networks such as MSN/Windows Live, Yahoo!, and AOL. Presence establishes and displays a user’s personal availability and willingness to communicate through the use of common states such as Available or Busy. This rich presence information enables other users to immediately make effective communication choices. You can provide full Lync Server functionality for users who are currently outside your organization’s firewalls by deploying servers called Edge Servers to provide a connection for these remote users. These remote users can connect to conferences by using a personal computer with Lync 2010 installed, the phone, or a web interface. Meeting tools are integrated into Outlook 2010 to enable organizers to schedule a meeting or start an impromptu conference with a single click and make it just as easy for attendees to join. Presence information is integrated into Outlook 2010 and SharePoint 2010. Exchange Unified Messaging (UM) provides several integration features. 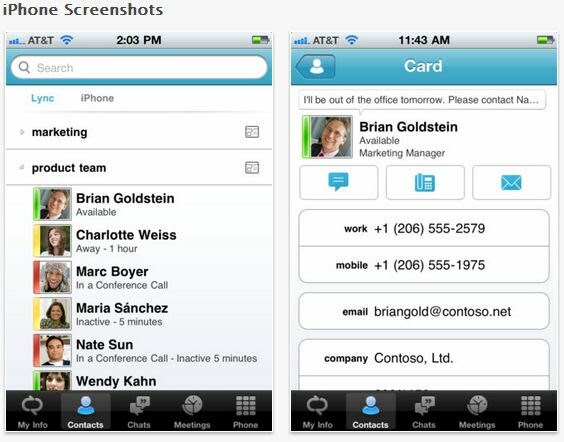 Users can see if they have new voice mail within Lync 2010. They can click a play button in the Outlook message to hear the audio voice mail, or view a transcription of the voice mail in the notification message. To help you plan and deploy your servers and clients, Lync Server provides the Microsoft Lync Server 2010, Planning Tool and the Topology Builder. Lync Server 2010, Planning Tool is a wizard that interactively asks you a series of questions about your organization, the Lync Server features you want to enable, and your capacity planning needs. Then, it creates a recommended deployment topology based on your answers, and produces several forms of output to aid your planning and installation. Topology Builder is an installation component of Lync Server 2010. You use Topology Builder to create, adjust and publish your planned topology. It also validates your topology before you begin server installations. When you install Lync Server on individual servers, the installation program deploys the server as directed in the topology. Active Directory for its user information, which eliminates the need for separate user and policy databases. Microsoft Lync Server 2010 Control Panel, a new web-based graphical user interface for administrators. With this web-based UI, Lync Server administrators can manage their systems from anywhere on the corporate network, without needing specialized management software installed on their computers. YES the Apps work in the trial program.